maximum number of authorized badges, insignia, and devices. Pride in oneâ€˜s personal appearance and wearing the uniform, greatly enhances the esprit de corps essential to an effective military force. 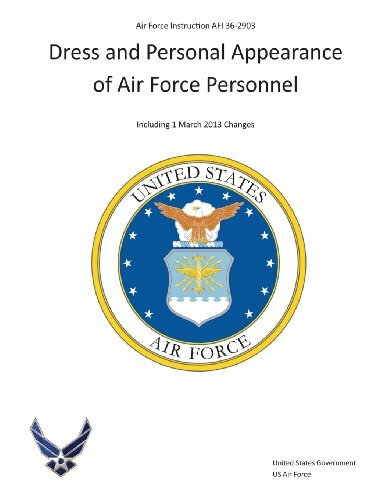 Therefore, it is most important for all Airmen to maintain a high standard of dress and personal appearance. The five elements of this standard are neatness, cleanliness, safety, uniformity, and military image. The first four are absolute, objective criteria needed for the efficiency and well-being of the Air Force. The fifth, military image is subjective, but necessary. This Air Force Instruction AFI 36-2903 is the Uniform Policy for the United States Air Force USAF. It includes the newest changes, including those pertaining to the Airman Battle Uniform (ABU).